Hass-Klau also covers the wider aspects of urban and transport planning, especially public transport, essential for promoting a pedestrian-friendly environment. 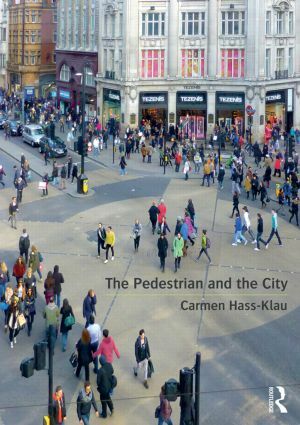 The book includes pedestrian-friendly policies and guidelines from a number of European countries and includes case studies from the UK, Germany, Britain, France, Spain, Italy, the Netherlands, Denmark, the US and Canada, with further examples from ten additional countries. It also contains a unique collection of original photographs; including ‘before’ and ‘after’ photos of newly introduced pedestrian-friendly transport policies. Walking in Germany: Is there Progress?